After watching Inception, the following were the exact words that lingered in my mind, “Fantastic movie!!! Can someone please tell me the actual story?? ?” I guess the feeling of a movie being above your immediate understanding is the trend these days. It was almost like attending a Master's level course lecture, I had to come back and cross reference several websites and other sources and discuss with friends and of course go over the material again (Yes, watched it twice!) to finally get some picture about what was really going on. Frankly, I am not sure if I can still get an “A” in this course :) All said and done, a movie that can pose intelligent questions to your mind; a movie that pushes your imagination to its limits; a movie that is a visual and musical treat just has to be appreciated. However, today we are not here to perform an inception in Robert Fischer's mind and change chess history, but to learn chess in the perspective of the protagonist from Christopher Nolan's Memento (If you have not seen these movies, all I can say is you are missing something). Why are we talking about Memento in an Opening article? Here is my take on it: in life we make every decision, even the tiniest ones in anticipation of something positive in our future. It is never easy for one to understand if the decision was a success or a failure until you actually see that future. That's why they say, “In retrospect, your vision is always 20/20!” This principle can easily be applied to the openings we play. You make each decision in your opening hoping to get a better middlegame and eventually a good endgame. This makes openings one of the hardest things in chess, as you will have to see the farthest to understand the implication of each move. The better the player, the better is their understanding and the farther goes their vision. 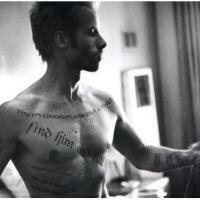 Hence we are going to study our opening from end to start, like Christopher Nolan's Memento. Let us split the game into four parts and try to reason some of our opening moves by digging all the way deep into the endgame. This is a simple king and pawn endgame. White is going to use his 'e' pawn as a distraction and collect all the pawns on the queen side and black does not have a way to create a passed pawn for himself on the king side. In fact this is where my opponent resigned seeing that it was hopeless to continue. Get the knight to e6 and we are done! Expand on the king side and create a second weakness in black's camp. The first weakness is the a6 pawn to which his bishop is tied down already. Trade rooks and we are done! Create a weak pawn on c6, but remember it will not be a weak pawn if the right pieces are not traded off the board. Trade black's dark-squared bishop and other minor pieces that can guard the c5 square leaving the light-squared bishop, the only piece that cannot control that square. As one can see the explanations are getting more and more vague and the nature of the position is getting more and more ambiguous as we are approaching the opening. You are trying to follow some principles which may or may not work against your opponent; you will have to improvise based on how he responds to each of your idea. This is precisely why Openings are the hardest things to understand in chess. Obviously this game was not an equal match, but that is precisely what I wanted to explain, the difference in far sight based on one's understanding about the game. While studying an opening, always try to understand its long-term implications rather than what it can achieve right away. I am attaching the game as a whole in the end for you to take a look at in one shot. Next week you can watch the predator become the prey! How a Grandmaster's far sight is made to look like short sight! After all, NO ONE can escape the “Circle of Life”.